Pope Francis was officially inaugurated earlier this morning, concluding much of the ceremonial introductions and beginning his papacy in full. A week of speculation and observation leaves Catholics and the world-at-large with a growing understanding of who this pope is, from where he emerges as former head of the Argentine church, and where the Church might be heading. Sister Joan Chittister, a Benedictine nun writing in National Catholic Reporter, discusses weariness on the part of many Catholics and her desire for Pope Francis to sincerely listen. “People are weary of hearing more about the laws of the church than the love of the Jesus who says whatever a person’s struggles, ‘Remember, I am with you always’ (Matthew 28:20). “And then came the real shock: He bowed to the people. Bowed. And asked them to pray a blessing down on him before he blessed them. Francis, I remembered, was the Christian who reached out to Muslims. Francis, the one who listened to every creature in the universe and dialogued with it. “Indeed, if this Francis, too, is a listener, there is hope for reconciliation, hope for healing, hope for the development of the church. 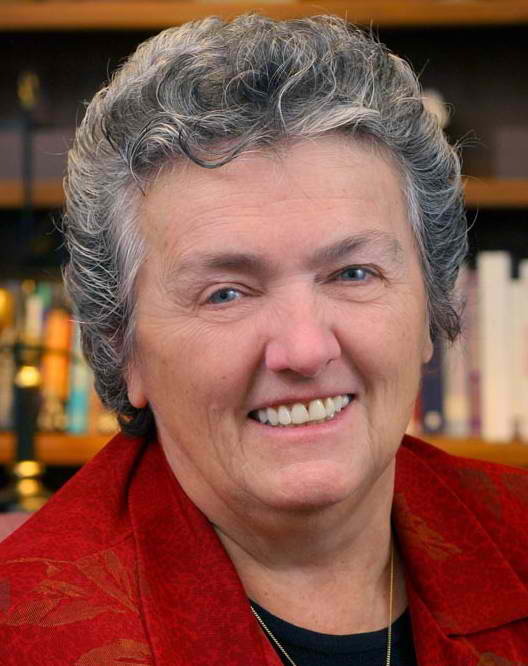 The LGBT community, families, and advocates are certainly counted among Sr. Joan’s weary Catholics who suffer from a hierarchy intent on legalism and rejection. Many of us continue to practice the faith for reasons unique to each person, fluctuating perhaps between bouts of weariness and bursts of energy. Pope Francis’ previous statements on LGBT rights are clear, his record on marriage equality less so–and neither are good. With the inaugural Mass concluded, and many ‘firsts’ completed, now Pope Francis must begin governing with, not over, the People of God. We can echo Sr. Joan’s words that “Maybe, just maybe, this time…” there will be change enough to dispel some weariness if this new papacy commences in a listening posture. Again, Sr. Joan, has “hit the nail on the head.” I let go of bits and pieces of my weariness when our new Pope Francis speaks of service (awareness) to the poorest, the least, the neediest, the land. The heavy pressure of weariness lightens when I see him choose simplicity, and I witness his eagerness to show his respect to “the people.” However, now, my weariness is struggling with my wariness. I have had a glimpse of Pope Francis’ tenderness, now I hope and pray he will have the inner ferocity (like a sheep dog!) to listen to, and protect the weary who long for change within our Church, as well as in the world. Once again, the right message at the right moment. For I am being asked by so many Catholic friends, will this Francis be any different? If the Holy Spirit was working through the conclave, then we must be patient, we must be hopeful, we must be open to the holiest of possibilities. I truly believe that we how have Pope Francis, just as we had the last 2 popes chosen by the Holy Spirit for our times. Pope Francis has shown his love for the poor and downtrodden. He will no doubt live this sacred Gospel imperative and set a great example, as he passes on the Sacred Deposit of the Faith unadulterated to renew all members of the Church, while giving a voice to the voiceless. As a gay man, I have never witnessed, experienced, nor grown weary of “whole classes of people — women, gays and even other faith communities… rejected, labeled, seen as ‘deficient,’ crossed off the list of the acceptable.” I frankly don’t know what Sr. Chittister is talking about. The Catholic Church has become the true counterculture of our times. When needed, it has stood up for the Truth that doesn’t change, in the face of the relativism that is destroying Western culture. If this is seen as “scolding, reactionary,” amidst a total absence of moral consensus, so be it. We now have a wonderfully humble, holy man to shepherd Christ’s Church. The Holy Spirit will express the will of Christ for the barque of Peter through Pope Francis. Let us rejoice abundantly and be glad! Far from being wearied, I am elated, just as I was when Benedict XVI became the Bishop of Rome. There are no accidents. No wonder you’re not weary, you are a man, not a woman, let alone a nun. It’s a mans world.